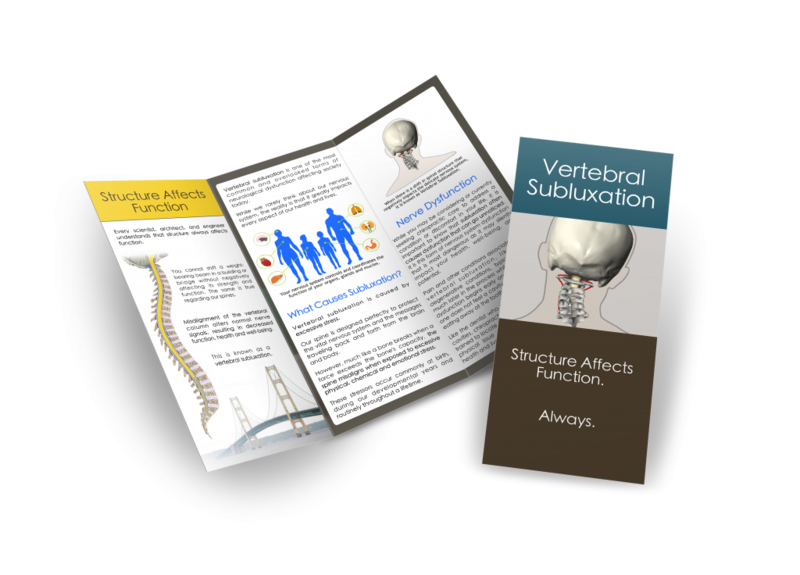 We are excited to announce the release of the profession’s latest vertebral subluxation poster and handouts. 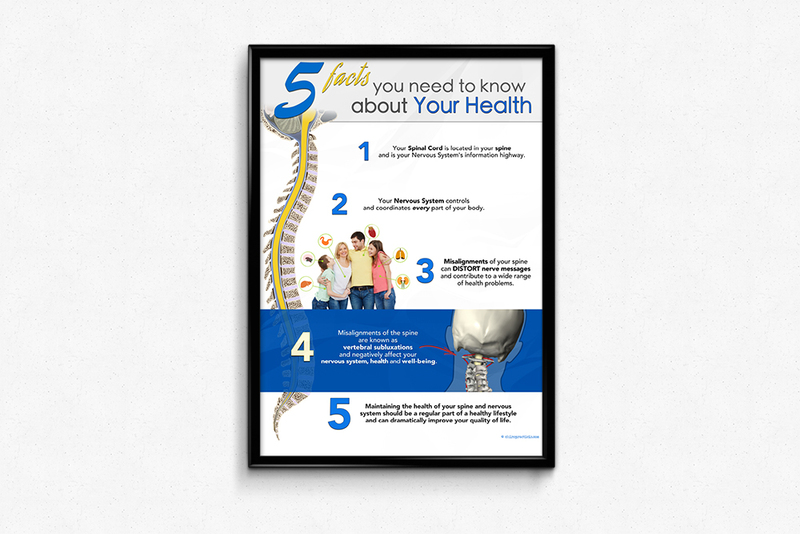 Our 5 Facts You Need to Know About Your Health poster and handout are essential patient education tools that drive home the 5 key pieces of information every individual needs to know to be able to make the logical decision to have their spine and nervous system checked throughout a lifetime. 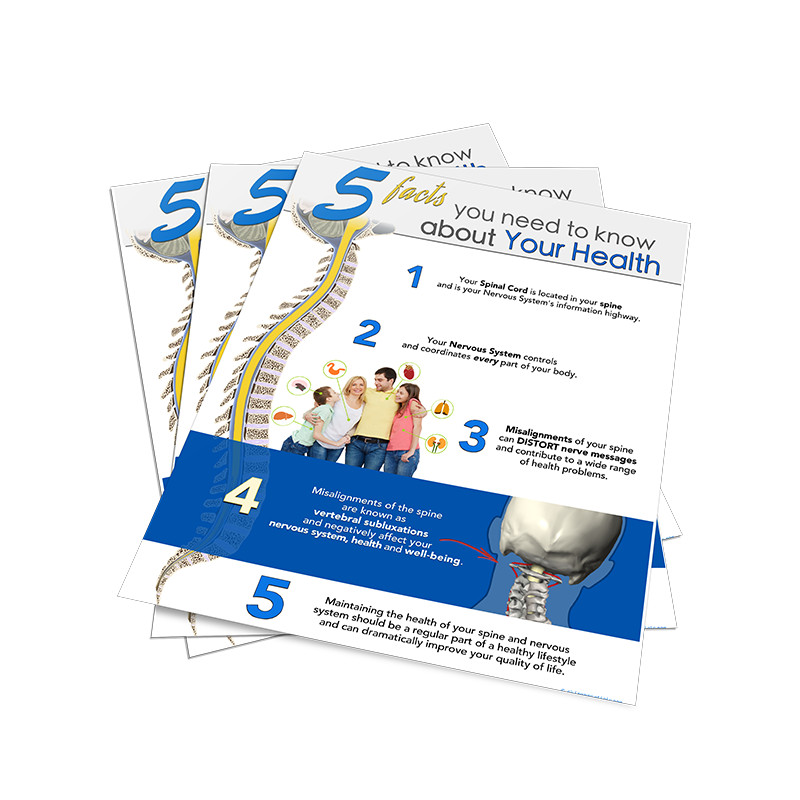 Send these handouts with the essential concepts home with new patients on the first visit. 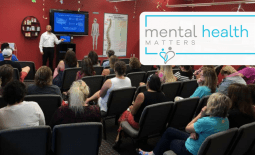 We believe that if every individual understood these fundamental facts about their body and how they function, the only logical choice would be to get checked by a chiropractor throughout one’s lifetime. 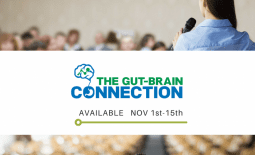 Start shifting the conversation in your practice around these core concepts and watch as more and more people understand the need for them, their families and friends to be checked for subluxation. 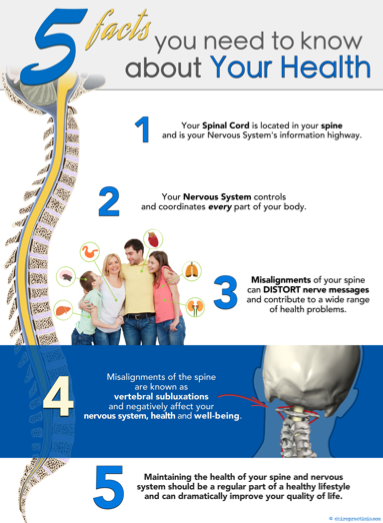 The poster goes extremely well with the identical 8.5 x 11 handouts and our Vertebral Subluxation Trifold Brochure to give to all new patients and for use at community outreach events.